(CNN) - Republican Gov. Chris Christie called on New Jersey's Democratic-controlled legislature to pass a series of bail reform proposals, saying the current system creates a "debtor's prison" for poor people charged with nonviolent crimes. "We are failing when we have a system that works against the very people in our society who need us to fight for the fairness they often cannot fight for themselves," the governor said Thursday. Christie made his remarks in a special session he called that compelled lawmakers to return to Trenton. The state Senate was already scheduled to hold a vote on the legislation Thursday, but a vote looked unlikely in the Assembly, with many members on vacation, according to the New Jersey Star-Ledger. The two measures at stake include a constitutional amendment that would make it easier for poor, nonviolent defendants to post bail and not wait in prison for months. The other measure would make it more difficult for those charged with violent crimes to post bail. While the measures have bipartisan support, the bail bond industry has weighed in with their opposition, while others have questions about the definition of a "speedy trial" for some defendants. Boasting that he and the ACLU actually agree on something, Christie said the time to act was now. "This is our responsibility. There is no one else to pass this one off to. This is something that we need to do and is long overdue," he said. 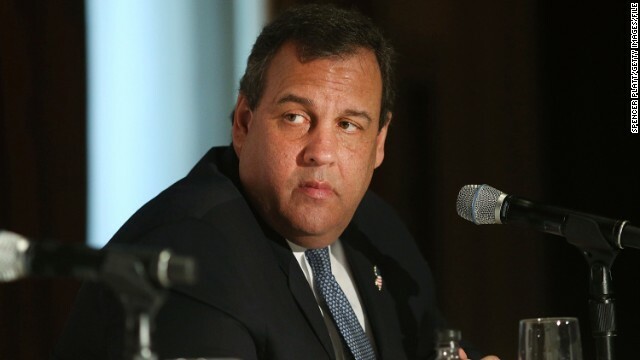 Christie, a potential presidential contender, later Thursday heads to New Hampshire as chairman of the Republican Governors Association and will campaign for gubernatorial hopeful Walt Havenstein. Christie is also set to attend a fundraiser for the state GOP. If they're in prison, we're paying for them, their healthcare, their food, etc. If they're on the street, they'll be subject to all of Christie's and the GOP/Teatrolls' attempts to keep them from having insurance, access to Medicaid, eligibility for social assistance programs, etc....you know, all the things Christie and the GOP/Teatrolls love to cut and try to destroy. In other words, as long as they're non-violent, Christie would prefer they be in a position where his agenda makes them a non-expense...and, of course, hopefully they'll just die quicker that way. seems like common sense legislation. must mean there are a few line items hidden deep in subtext that renege on pensions and/or making political retaliation through state agencies legal. I have to question the bridge closure at the tactical level, wouldn't it have just been more successful to take a page from McCrory's play book and just have the state hijack control of the at odds mayor's largest source of city income? Bail is the collateral provided to ensure the poor, nonviolent defendants (criminals) shows up for trial. So Republican Gov. Chris Christie want the New Jersey system to work like the government system works for illegals; where 90% don’t show up for the hearing / trial. @Sniffit, it is so reassuring to see that you have maintained your mature and balanced view. I'm truly sorry that you were always chosen last at pick-up sports games....no doubt the offending kids were GOP/Teatrolls. The two measures at stake include a constitutional amendment that would make it easier for poor, nonviolent, defendants, and sitting Governors to post bail and not wait in prison for months. The other measure would make it more difficult for those charged with violent crimes to post bail and has a rider making it unconstitutional to charge sitting republicant Governor with ANY crime whatsoever. The measures are gaining huge support among the teabagg er crowd who continue to maintain a high rate of running and electing criminals, insane people, witches, and downright morons. GREED. I don't get it. GREED. I don't see how GREED fits into these proposals. Wouldn't having fewer people in prisons mean less spending on them, which could lead to budget cuts and layoffs. Remember, folks, New Jersey is facing nearly a one billion dollar budget shortfall. GREED. Christie has to make it up somewhere without raising taxes, which is far too sensible and liberal for him. GREED. Christie has given his cronies and donors big tax cuts, and now the working families of New Jersey are going to have to suffer to pay for it. GREED. Yeah, that's it. Christie is trying to balance his budget to make up for the tax cuts that the didn't pay for. GREED. Entire this legal system needs to be revamped. It is eighteenth century rusty system. If this is being reported accurately, this is a good proposal. At least have the decency to hear it out, instead of rejecting it out of hand because of the source. As Christie points out, he and the ACLU are on the same page with this, so why not accept it until/or if proof is presented to the contrary? I hear you, but consider this. Christie has pulled underhanded dirty political tricks before. For example, he reached budget compromises with Democrats when he first took office. The Democratically controlled legislature passed the budgets, which Christie signed into a law *after* using his line item veto to remove all of his concessions to Democrats. The con artist isn't going to voluntarily tell you that he's trying run *yet another* con game on you. Sounds like a proposal I can support. But the devil's in the details. That will not solve the problem of why they are debtors, in the first place. This is all a scam by Republican Gov. Chris Christie to get his buddies can make bail on appeals . Bernard Madoff says he won't appeal ? At least not till it cools off on the stove . Christy would be better off looking into plea deals made by DA's and corrupt judges on threat of extreme sentences . "I'm truly sorry that you were always chosen last at pick-up sports games....no doubt the offending kids were GOP/Teatrolls." LOL...recruited by my college to play center-midi for lacrosse, but you go right ahead and continue your thumbsucking daydreams.